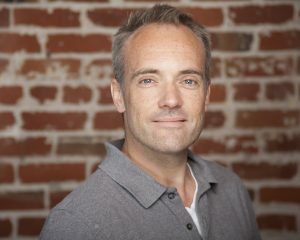 Jon McAuliffe is co-founder and Chief Investment Officer of Voleon, heading the firm’s investment-strategy research and development. Jon is also Adjunct Professor of Statistics at the University of California, Berkeley. His research focuses on theory and methodology for large-scale data analysis. Dr. McAuliffe has a substantial track record of successful innovation in applying statistical methods to real-life prediction problems, particularly in the financial markets. He was formerly a Vice President at D. E. Shaw & Co., where he researched, developed, and managed statistical arbitrage trading strategies. Prior to joining Voleon, Dr. McAuliffe built recommender systems at Amazon.com, real-time click prediction rules at search-keyword portfolio manager Efficient Frontier, and genotype-calling algorithms at microarray maker Affymetrix. Dr. McAuliffe held a University of California Regents Fellowship from 2000 to 2004, and won the Berkeley Statistics Department’s Erich Lehmann award for the outstanding dissertation in theoretical statistics. He is widely published and serves on the editorial board of The Journal of Machine Learning Research. He has served on the senior program committee for NIPS and ICML, the flagship annual machine learning conferences. Dr. McAuliffe earned his Ph.D. in Statistics from the University of California, Berkeley. He also holds an A.B. in Computer Science, with honors, and an S.M. in Applied Mathematics, both from Harvard University. Dr. McAuliffe’s academic CV can be found here.